Juba (Agenzia Fides) - The first Jesuit of Kenyan nationality was killed in South Sudan. Victor Luke Odhiambo was shot and killed on the night of November 14 by a group of armed men who attacked the Jesuit community of Cueibet, in the state of Gok. The other three members of the community remained unharmed. According to the Minister of Information of the State of Gok, John Madol, one of the alleged assailants was arrested. "The state government of Gok has declared 3 days of mourning. Everyone stays at home as we mourn the priest", said the Minister of Information. Fr. Odhiambo was the first Kenyan to become a Jesuit. Born on January 20, 1956, he entered the Society of Jesus (SJ) on July 4, 1978. He was ordained a priest on August 22, 1987 and professed his final vows on May 30, 1993. In South Sudan Fr. Odhiambo was the Principal of Mazzolari Teachers’ College (MTC) and Vice-Superior of the community of Cuibet from 30 January 2017. "It is with great pain that I received the sad news of the attack of our companions in Cueibet and the violent death of Fr. Victor-Luke Odhiambo S.J., the Principal of Mazzolari Teachers’ College (MTC) and Vice-Superior of the community", says Fr. Arturo Sosa, Superior General of the Society of Jesus in his letter of condolences. Fr. 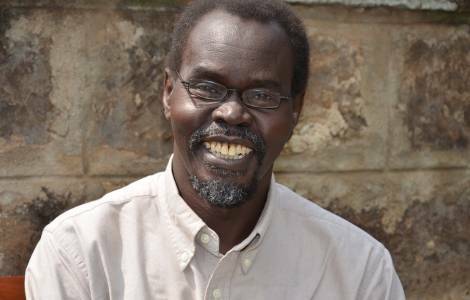 Sosa emphasizes that "Father Victor Luke Odhiambo leaves a name, not only in South Sudan as the first Jesuit to die at the service of its people, but in the whole of Eastern Africa as a teacher of thousands of students in the Starehe Boys Centre in Nairobi-Kenya and in Loyola High School in Dar Es Salaam-Tanzania". "He was a very courageous man, intelligent, caring, creative administrator and above all a believer in the value of education. He was not afraid of venturing into the unknown even into the most dangerous of places once he was convinced it was the Lord’s mission. His example of selfless dedication as Headmaster and Principal remains a challenge to many of our younger brothers in the Society of Jesus. He is a light, which has been extinguished, after enlightening other lights. Like a grain of wheat that dies in order to bear much fruit. And this is our consolation".